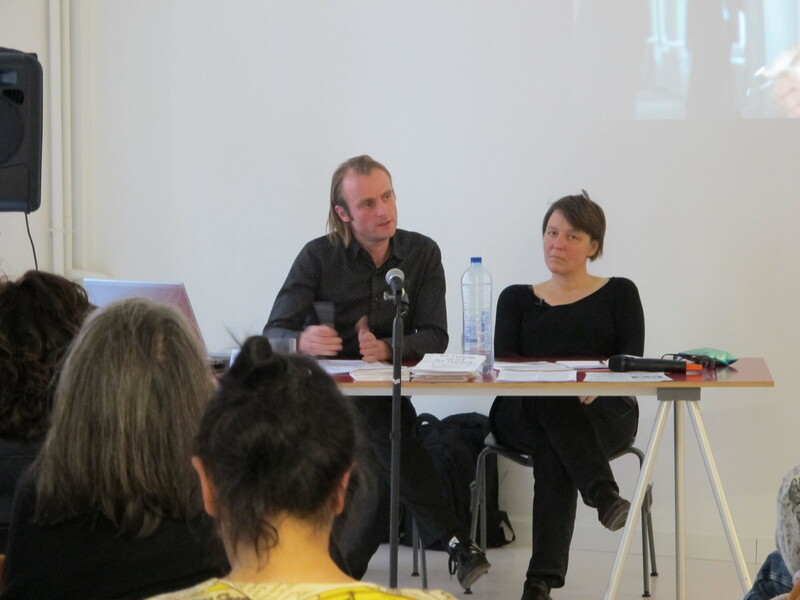 Ronny Heiremans & Katleen Vermeir introducing the speakers. Speakers Florian Wüst and Ines Schaber. The Haben und Brauchen manifesto on screen. 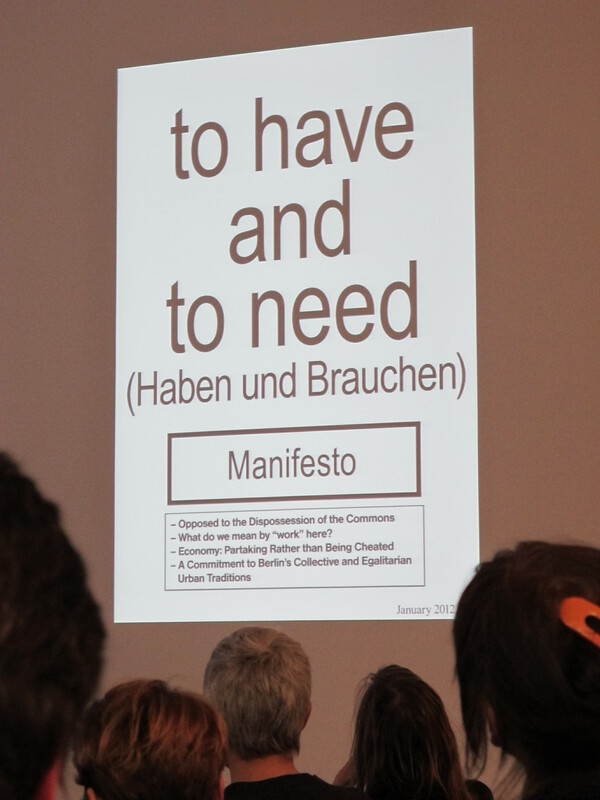 Lecture by Ines Schaber and Florian Wüst on the artists movement Haben und Brauchen (To Have and To Need) in Berlin that thematizes the working and living conditions of artists in a city that loves them, but does little to prove it. In collaboration with BAM, Argos and the Vlaams Bouwmeester. Berlin’s international reputation as a centre of contemporary art has been built to a large extent on its good and cheap conditions for artistic production, and on the existence of small art institutions and independent project spaces. But these cannot be taken for granted, the city is changing, and with it the conditions under which Berlin became a preferred place for making art. When the city markets itself as a hotspot for culture, then money should flow back into the arts, and in particular into the dramatically under-financed independent scene. Haben und Brauchen, however, rejects to reduce the relevance of art to a merely economic relation, but understands cultural production first of all as an activity intrinsic to society, which achieves a critical consciousness of itself through art. 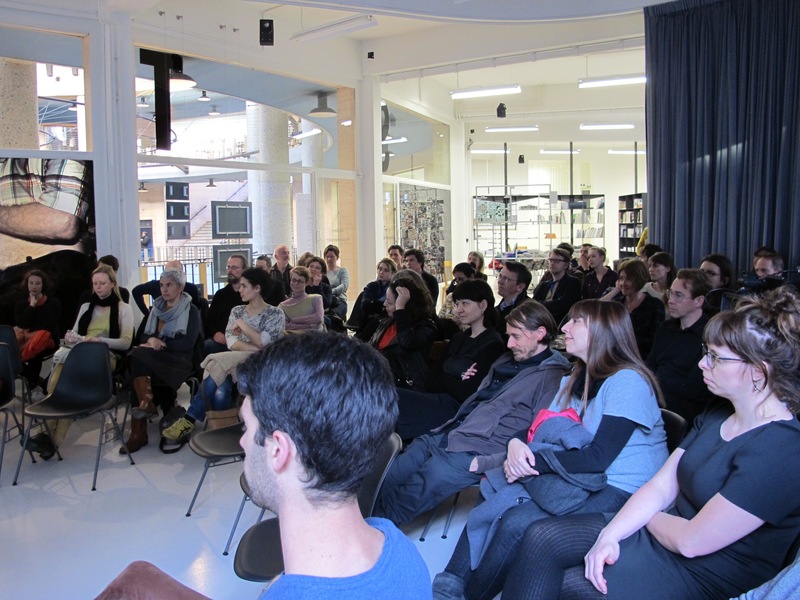 Haben und Brauchen is an informal platform for discussion and action founded in 2011. 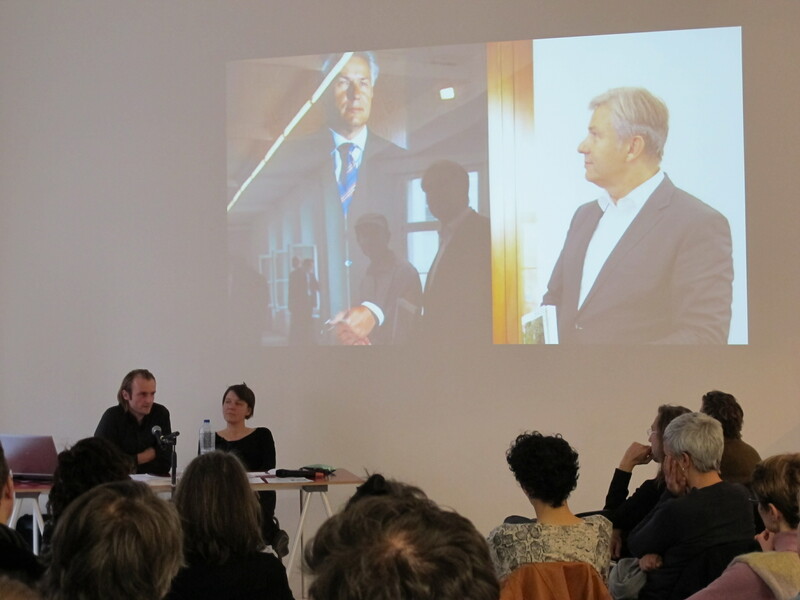 It advocates for the appreciation and preservation of a self-organized artistic practice, which has grown out of the specific historical conditions and free spaces in Berlin. Besides public discussions, workshops and assemblies, Haben und Brauchen has published two open letters to the mayor of Berlin and a widely recognised manifesto. 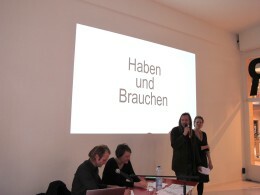 The Haben und Brauchen manifesto goes far beyond individual artists' interests and makes connections to debates around the commons, precarious economy, urban development and housing, as well as the shifting notions of labour in contemporary society.